Another week means another round of questions in the Los Angeles Dodgers mailbag. As always, don’t forget to send your questions to @jeffspiegel on Twitter, comment on our Facebook page or in the comments section below. Entering the week, Gennett — who’s in his second season on the Reds — had 12 home runs and a slash line of .340/.376/.556, good for 2.4 WAR. Is it a fluke? Well, last season he posted career highs across the board with 27 homers and a batting line of .295/.342/.531. At 28 years old, Gennett has one more year of arbitration before he’d become a free agent in 2020. With all that said, I’m not sure a trade to Los Angeles makes a ton of sense for the following reasons: a) I think he’d cost more than you’d think (given his last season-and-a-half of production as well as his cheap contract), b) the Dodger bats have picked it up of late, and c) despite his poor hitting, the Dodgers love Logan Forsythe’s defensive contributions. While it sounds weird given the names on the lineup card every day, the Dodgers do have an abundance of hitters in the dugout at the moment. 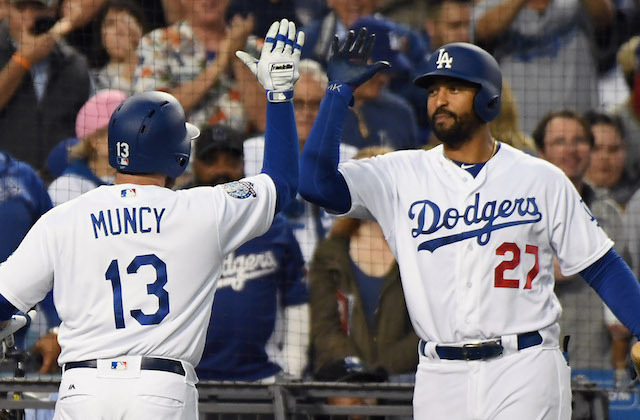 Once Justin Turner returns to everyday form, they’ll need to find a way to get he, Max Muncy, Joc Pederson and others all into the lineup. The only way I see that happening is if Muncy moves to second base (he played in 21 games there for the Oakland Athletics in 2016). What a fascinating question — as well as a tough one! One thing that makes this comparison so challenging is the different paths they’ve taken to the big leagues. Urias, who was signed in 2012 as a 16-year-old made his MLB debut in 2016, while Buehler wasn’t drafted by the Dodgers until 2015 — making his MLB debut two years later. Add in the fact that one’s a lefty and the other is a righty, and that Urias is recovering from anterior capsule surgery, and it’s a difficult proposition to compare the two. Keep in mind, however, that Urias pitched all 100 innings before his 21st birthday, while Buehler has pitched a bulk of his innings as a 23-year-old. My guess is that had both players remained healthy and on the trajectory they were on, that Urias — over the long haul — would have been projected as the better player strictly because of what he was doing at such a young age. However, now that Urias’ health has become a question mark, although Buehler himself has survived a Tommy John surgery, I think the edge probably belongs to Buehler. The good news in all of this, of course, is that the Dodgers don’t have to choose between the two, as both should be mainstays in the team’s rotation for the foreseeable future. Wait, why would they need a starting pitcher? Is having one healthy starter a bad thing? Of course, Jordan’s question is a good one and an important one. 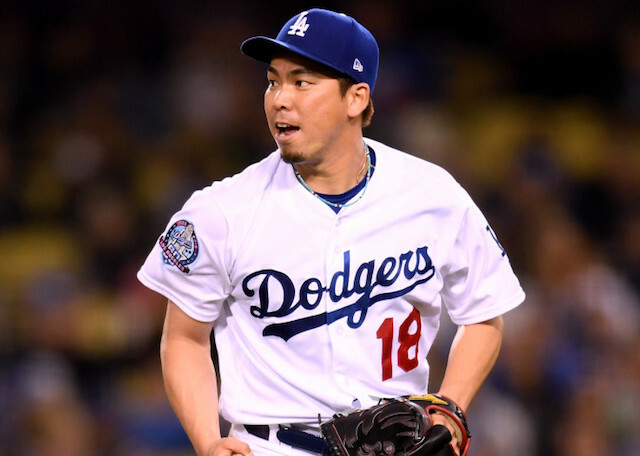 With Clayton Kershaw, Kenta Maeda, Hyun-Jin Ryu, Rich Hill, Dennis Santana and Buehler all on the disabled list, it appears as if the Dodgers could use some rotation help. So will it come via the trade? The front office has been remarkably active at the deadline in years past but I’m skeptical about whether a starting pitcher trade is in the cards. With Maeda back, and Kershaw and Hill to follow in the near future — as well as the emergence of Ross Stripling as a formidable starter — the Dodgers are still looking at six pitchers for five spots, all of whom are more than capable. Remember as well that the Dodgers are very salary-conscious this season, and so any starter that comes over would have to fit under the luxury tax, which limits their options. It wouldn’t shock me to see them acquire an arm between now and the end of the summer, but if I had to bet, I think the Dodgers are quieter than normal this season. Kemp, of course, is more than deserving. But with injuries to traditional shoe-ins like Kershaw, Turner and Corey Seager, are there any other guys with realistic cases to be made? The first name that comes to mind is Muncy, but it appears as if he’ll need some help. Muncy has been as impressive as he has been surprising. His problem at the moment is both his lack of at-bats as well as the fact that he’s not even on the All-Star Game ballot. If Muncy can keep up the hot streak through the summer, he’d be a great story for baseball. Beyond Muncy, another to keep an eye on is Stripling. Among NL pitchers with 60-plus innings pitched this season, Stripling is No. 4 in WAR, No. 2 in ERA and No. 1 in strikeout/walk ratio.